Amex launches blockchain-based business payments using Ripple: Prelude to the Beast and 666? Blockchain technology is something that I have warned may be used by the Beast power. American Express’ interest in this technology shows that blockchain is getting more acceptance. The former head of Germany’s armed forces is now helping to bring blockchain tech to some of the world’s largest financial institutions. An early advisor to distributed financial technology firm Ripple, not to mention a bonafide German baron, Karl-Theodor zu Guttenberg today plays a key role in enabling the heavily funded startup to make inroads in the banking sector. But as co-founder of consultancy Spitzberg Partners, he is setting his sights beyond finance. Over the course of his time at both the Ministry of Defense and Minister of Economics & Technology, zu Guttenberg built up an extensive network of global politicians, technologists and bankers. Long rumored to be a potential candidate to replace his former boss, German Chancellor Angela Merkel, zu Guttenberg last month revealed exclusively to CoinDesk that his firm had partnered with the State of Delaware’s blockchain initiative to help bring a global tech cohort to the tiny US state. Now, he says his firm has taken on a “significant portion” of blockchain companies as clients and is consolidating those resources to focus on a concerted push to bring the technology to the world. At Spitzberg’s New York City headquarters, zu Guttenberg explained how the work he’s conducting in Delaware, with Ripple and with other blockchain firms, is part of a larger plan. Though Ripple has set legacy financial technology firm Swift square in its sights, zu Guttenberg said that Ripple’s secret to widespread adoption has been recognizing when to play nice with other legacy platforms. To help modernize those legacy systems, though, Ripple will require more than just a willingness to play nice with banks. Government support is crucial. Zu Guttenberg cited smaller nations such as Estonia and Singapore, and jurisdictions including the Zug region of Switzerland and Delaware, as fundamental testing grounds for the types of legislation that might one day underpin a new financial infrastructure. 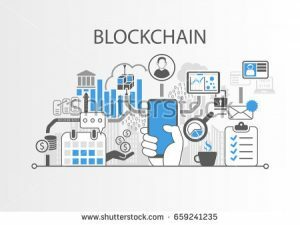 While he said the topic of how blockchain is being adopted by governments comes up organically in his meetings with leaders around the world, zu Guttenberg argued that the push to bring blockchain into widespread adoption will require a more concerted effort. Baron Guttenberg, thus, has some expertise in digital currencies–such currencies can be monitored. I expect that Karl-Theodor zu Guttenberg will further encourage Europe to try to take the lead in this and other international matters. While money originally stood for something (metal, for coins, for example was valued because the actual metal it was made up of had value), most paper money is backed by nothing. Neither is blockchain money. Essentially, a blockchain is a piece of data that many feel cannot be altered and can permanently be tracked. Could blockchain technology be related to the ‘Mark of the Beast‘? Yet the crypto-hysteria is distracting you from a scary truth no one is talking about. There is every indication that governments, regulators, tax authorities, and the global elite are moving in for the crypto-kill. The future of Bitcoin may be a dystopia in which Big Brother controls what’s called “the blockchain” and decides when and how you can buy or sell anything and everything. Governments have been patiently watching blockchain technology develop and grow outside their control for the past eight years. Libertarian supporters of blockchain celebrate this lack of government control. Yet, their celebration is premature, and their belief in the sustainability of powerful systems outside government control is naïve. Governments don’t like competition especially when it comes to money. Governments know they cannot stop blockchain, in fact they don’t want to. What they want is to control it using powers of regulation, taxation, and investigation and ultimately more coercive powers including arrest and imprisonment of individuals who refuse to obey government mandates with regard to blockchain. There is no way governments will intentionally allow a system that gets around all of their financial espionage. China is starting to publicly state that, and the government of USA has also began to try to figure out how to handle Bitcoin (Congress has held one or more hearings). FWIW, I have never had or traded in Bitcoins or other alternatives like that. “Distributed ledger technology (DLT), in particular, could spur change in the financial sector. …. DLT can be categorized as “permissionless” or “permissioned” depending on who can participate in the consensus-driven validation process. Permissionless DLTs allow anyone to read, transact on, and participate in the validation process. These open schemes (that underlie Bitcoin, for instance) could be very disruptive if successfully implemented. By contrast, in permissioned DLTs, the validation process is controlled by a pre-selected group of participants (“consortium”) or managed by one organization (“fully-private”), and thus serve more as a common communications platform.” (emphasis added). IMF releases require expert translation because they are never written in plain English, and the real meaning is always hidden between the lines. But, the thrust of this report language is clear. The IMF favors “permissioned” systems over “open schemes.” The IMF also favors control by a “pre-selected group of participants” or “one organization,” rather than allowing “anyone” to participate. “Big Brother” will work for more and more financial controls. Interestingly, Herr Guttenberg has been on the forefront of this. If American Express, the USA, or State of Delaware do something later against his preferences related to digital currencies, this could turn him further against the USA. This is seen as a worldwide solution; part of the globalist solution to problems. Whether or not the USA lasts long enough to do this, the Europeans will one day control nearly all buying and selling they can. Bitcoin is a very smooth end run to achieve that objective. The Bible shows that Europe will ultimately turn to a ‘strongman’ of its own in Revelation 17:12-13 (see also Must the Ten Kings of Revelation 17:12 Rule over Ten Currently Existing Nations? )–one who is able to monitor buying and selling. This may very well be someone like Karl-Theodor zu Guttenberg. His early involvement with Ripple and blockchain could be setting him up to help fulfill Revelation 13:15-18. Several of those predictions were based upon my understanding of prophecies in the books of Daniel and Revelation, plus outside sources (see also Might German Baron Karl-Theodor zu Guttenberg become the King of the North?). While these 11 speculative predictions do NOT prove that he is going to be the final King of the North European Beast power, he still bears watching. Blockchain technology is catching on and may very well be used by the Beast to control buying and selling. This entry was posted on Thursday, November 16th, 2017 at 3:00 pm	and is filed under Prophecy. Bitcoin and the Beast of Revelation? CNN Money: There’s no stopping bitcoin right now.